The Home You Have Been Waiting for is Finally Here! Welcome Home to this Move-In Ready, Fully Updated, Conveniently Located,Decorated Beauty Featuring 3 BR/2.5 BA, Large Living Rm AND Over Sized Den/Bonus Rm/Office Space w/Vaulted Ceiling & Beautiful Wood Beams...The Possibilities are Endless! 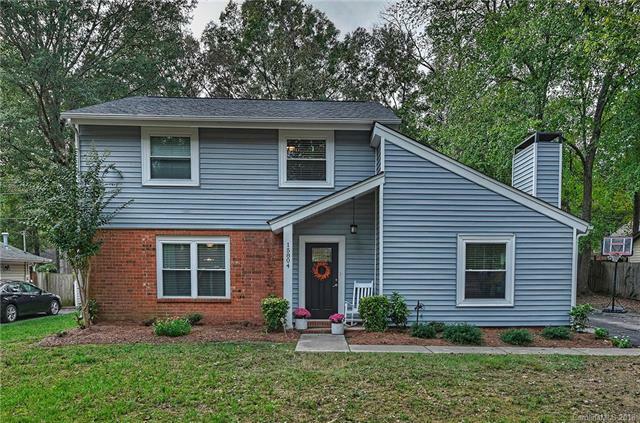 Newer Updates Include;Architectural Roof (2016),Vinyl Siding,Energy Efficient Windows,Renovated Kitchen,Granite Counters,SS Appl.,Recessed Lighting,Coffee Bar, Breakfast Bar, Walk In Pantry, All New Interior Doors w/Satin Nickel Hardware, Modern Light Fixtures,Updated Baths,Newer Carpet, Freshly Painted Rms, & 2 Inch Blinds. Situated on a Flat Lot Surrounded by Trees & a 6 Ft Privacy Fence. Plenty of Storage Space (Walk-In Attic, Spacious Closets, & Outside Shed. Check Out the Abundance of Amenities for a Low Monthly Fee that Includes; Swimming Pool, Tennis Crts, Basketball Crts, Playground, Fishing Pond, Walking Trails,& More! Low Union Cnty Taxes,Top Rated Schools, All for Well Below $250,000! Sold by Eg Real Estate Consultants.